An important, but often overlooked, influence on the spacemusic of the 1970's - especially the Berlin School of Kosmische Musik - is the music of British psychedelic/progressive/rock pioneers Pink Floyd. This influence manifests in several ways; long instrumental pieces, long instrumental passages within songs, evocative textures created from simple melodic and rhythmic figures, improvisation within a set structure and themes, and perhaps most directly, in the sense of floating outer or inner space which the music conjures. "Interstellar Overdrive" is a key composition because, for Pink Floyd in 1967-1968, it was the most extended free-est form piece; a launching pad for the deepest psychedelic explorations. It has a simple theme and a single throbbing beat against a repetitive bass line, which then gives way to some sparser and more delicate textures onto which guitarist Syd Barrett projects some most unusal and unsettling sounds. 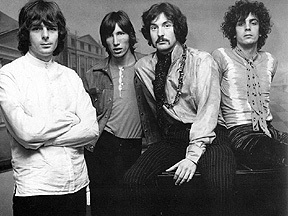 The version released on the first album The Piper at the Gates of Dawn, while a studio recording, recreates the concert experience of the piece. 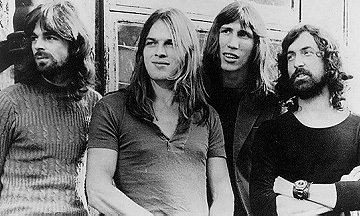 Many of the musicians who created the spacemusic of the 1970's were playing in rock bands in the 1960's, treading similar ground with extended jams and mind-altering, convention-shattering experimentation, with Pink Floyd as the exemplar. "A Saucerful of Secrets" is another touchstone composition. As with "Interstellar Overdrive" it is an instrumental. The opening section is almost pure texture, including the use of a large gong struck repeatedly with a mallet. It gives way to a drum pattern over which more textural elements (organ, plucked piano, echoed glissando guitar) are played. There really isn't any melody until the last section which resolves the tension in a triumphant chorus of voices. 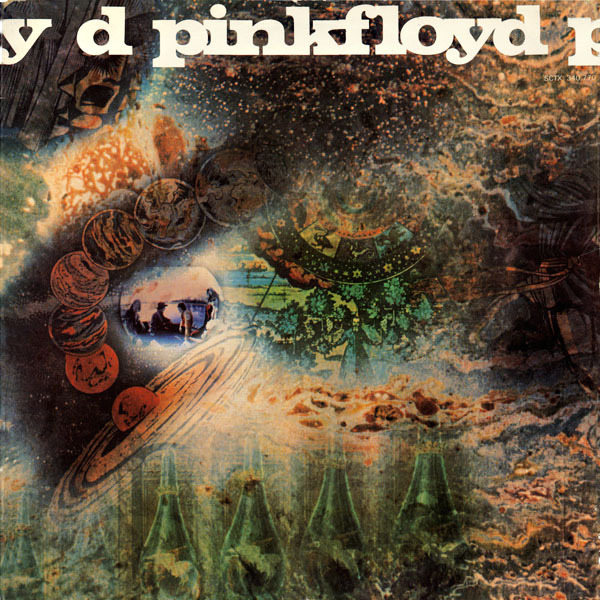 In both structure and sound "A Saucerful of Secrets" is a virtual blueprint for later spacemusic works. The title track from Tangerine Dream's Atem is an example of this. 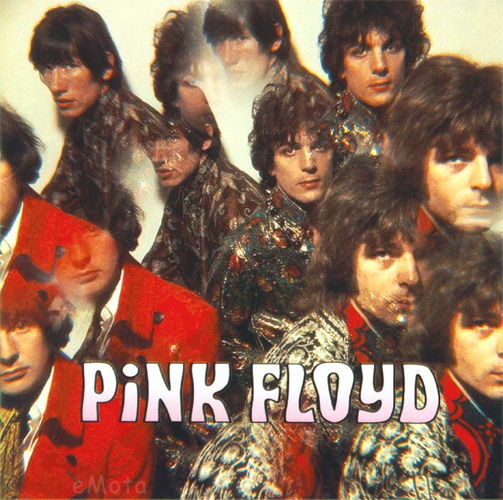 The earlier music of Pink Floyd, with Syd Barrett on guitar, has a cruder edge and a more demanding energy. But with David Gilmour taking over guitar duties, it takes on a smoothness and laid back precision that allows the music to float. 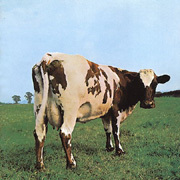 "Atom Heart Mother" follows a similar plan to "A Saucerful of Secrets", but with more parts, multiple melodic themes, and a sound fleshed out to include brass, strings, choir and some electronics from the far regions of space. In concert a brass section and choir were often used, with a french horn playing the main melody instead of the violin. At other live performances an abbreviated version was played using guitar, organ, bass and drums with two voices covering the choir parts. Many of the brass, string and choir sounds foreshadow the use of sampled textures in later spacemusic. 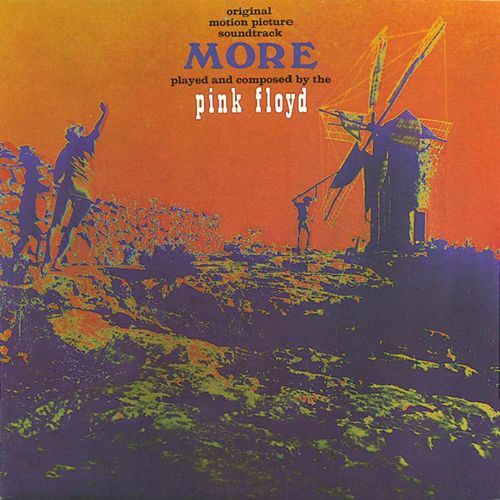 Some of the music created by Pink Floyd for the film More exhibits a most direct connection with the music of Tangerine Dream, Klaus Schulze, and Ash Ra Tempel. The "Main Theme" (there are two versions on the More soundtrack album) has an elementary repeating bass line interlocked with a simple drum part. Over this a staccato keyboard plays a deliberate melody while pads, sweeps and slide guitar drift in and out. This is eerily similar to the sequenced basslines and dumbed down melodies of Berlin School electronic spacemusic. Yet this was recorded in early 1969, several years before anything like it came out of Berlin. The track "Quicksilver" is all about texture, with some very spacey echoey sounds and heavy doses of cymbal wash. There is no beat, and a haunting abstract melody is played on the organ. Again this presages and predates the Kosmische Musik aesthetic. Although Pink Floyd did not play Berlin until 1970, they toured the UK, Netherlands, France, Belgium, Denmark, and Germany in the late 1960's. So whether through the studio recordings, live concerts, or TV appearances, the musicians who created spacemusic were certainly exposed. At that time Pink Floyd was often described as an "electronic" band, although their instrumentation (guitar, bass, organ, drums) was standard for a rock band. They made frequent use of taped sound effects, echo, sustained organ pads, and glissando guitar - all hallmarks of the floating spacemusic sound. They also demonstrated how seemingly simple elements brought together in the right proportions, performed with a keen sensibility for feeling and mood, could be used to create a music of cosmic consciousness, and transport audiences to the farthest reaches of space. Tune in to the 01.09.11 broadcast of STAR'S END for Art Cohen's hour-long guest DJ mix presenting tracks from a selection of early 1970s Pink Floyd releases. This special edition of STAR'S END (Midnight to 6AM) is part of the first 24 Hour Highs in the 70s Prog-Rock Marathon which runs continuously from 6PM Saturday 8 January 2011 to 6PM Sunday 9 January 2011 on WXPN.